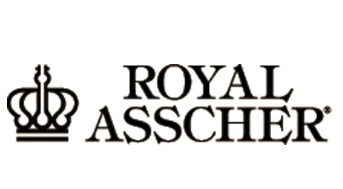 Royal Asscher's jewellery design is based on the Royal Asscher® Cut. This diamond shape creates a unique and spectacular light reflection. The cut shape of the diamond is square and has a total of 74 facets, 16 more than the brilliant cut.